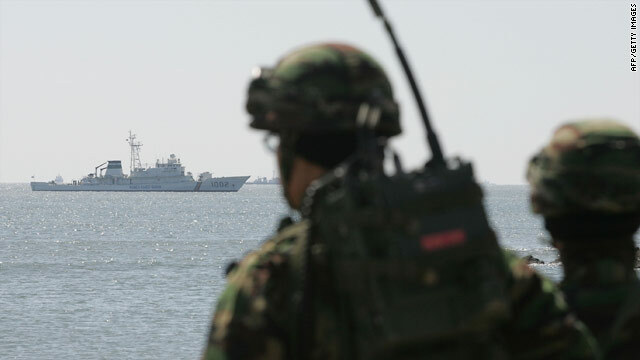 South Korean Marines search for possible survivors and bodies Monday in the sinking of a navy ship off Baengyeong Island. 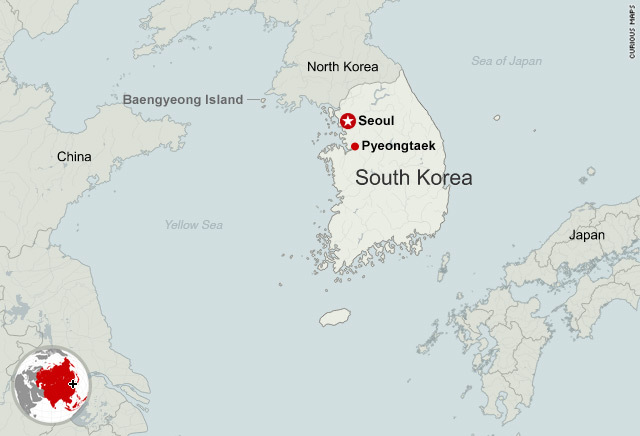 Seoul, South Korea (CNN) -- Divers have been hammering on the hulls of the front and rear sections of a sunken South Korean navy ship, but no signs of life have been detected, military officials said Monday. No cause has been determined for the ship's sinking, although the Yonhap News Agency quoted military officials as saying that an unidentified explosion tore a hole in the ship's rear, shutting off the engine. South Korea's defense minister said it is possible an old mine could be behind the explosion. Defense Minister Kim Tae-young told a parliamentary defense committee Monday that a North Korean sea mine from the 1950-53 Korean War could have caused the blast. "It is possible that a North Korean sea mine could have drifted into our area," Kim said, according to Yonhap. He said North Korea brought in about 4,000 sea mines from the Soviet Union during the war and placed about 3,000 of them in the Yellow and East seas. "Though many sea mines were removed, it must have been impossible to retrieve them 100 percent," Kim said. "One [North Korean sea mine] was found in 1959, and another was removed in 1984." Citing accounts of rescued sailors who handled the ship's radar, Kim said there were no signs of a torpedo attack ahead of the explosion. The navy plans to salvage the vessel to determine what caused the incident, Yonhap reported. It was carrying missiles and torpedoes, navy officials said. President Lee Myung-bak called for a thorough investigation into the cause of the explosion. Presidential spokeswoman Kim Eun-hye said Lee ordered the military to use "all the manpower and equipment available to conduct a search operation as fast as possible" and said rescuers "should not give up hope of more survivors." The U.S. Seventh Fleet sent its rescue vessel Salvo to aid in the operation Monday, according to a South Korean Defense Ministry spokesman quoted by Yonhap. 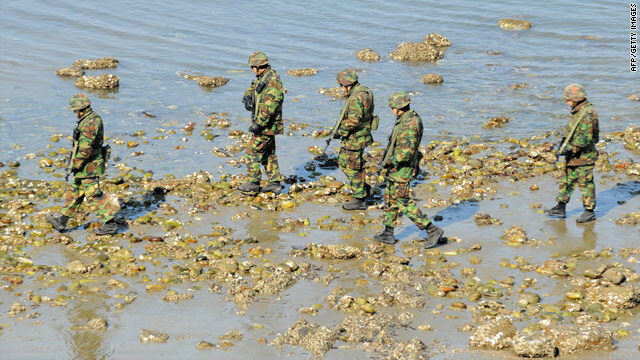 It is one of 24 military ships involved in the rescue, the spokesman said. Baengyeong Island, the Seoul-administered island near the scene of the accident, is a flash point maritime border area between the Koreas.